The Best Martial Arts blogs from thousands of top Martial Arts blogs in our index using search and social metrics. Data will be refreshed once a week. Also check out Martial Arts Podcasts and Martial Arts Youtube Channels list for Top videos on Martial Arts. Martial Arts newsletter is a comprehensive summary of the day's most important blog posts and news articles from the best Martial Arts websites on the web, and delivered to your email inbox each morning. To subscribe, simply provide us with your email address. About Blog This reddit is for all Martial Arts related links and discussion whether you study Karate, Eskrima or any of the many other martial arts which exist in the world. Facebook fans 1,188,466. Twitter followers 547,559. Perth, Western Australia About Blog Australian online magazine that covers combat sports internationally. FIGHTMAG is an international online magazine from Australia that covers kickboxing, muaythai, mixed martial arts and boxing. Get daily combat sports top stories, fight results and videos, covering Muay Thai, kickboxing, boxing, MMA and UFC. Facebook fans 12,537. Twitter followers 1,312. About Blog Way Of Ninja is the modern warrior guide to achieving the mindset and abilities of ninja and samurai, through martial arts, functional fitness, parkour. Facebook fans 2,071. Twitter followers 1,757. Facebook fans 527. Twitter followers 164. About Blog SMAbloggers is a blogging platform for those passionate about martial arts to share their experiences and martial arts journeys. Facebook fans 4,151. Twitter followers 659. Los Angeles, CA About Blog Ando Mierzwa aka Sensei Ando applies martial arts training tips and martial arts wisdom and self-defense techniques along with kung fu and karate lessons for fitness and self-empowerment. Facebook fans 2,151. Twitter followers 1,960. About Blog We provide the best information on martial arts travel and training locally as well as internationally. Choose the masters and schools for study martial arts abroad. Facebook fans 3,911. Twitter followers 920. Brooklyn About Blog Reflections on Jiu-Jitsu Philosophy and Martial Arts Training. North Richland Hills, TX About Blog Musings on the martial arts from a middle-aged Modern Arnisadora. Practitioner of Presas Arnis (Modern Arnis/Kombatan blend - Filipino Martial Arts) based in the Fort Worth, TX area. Facebook fans 378. Twitter followers 1,025. Parrish, FL About Blog Positivity, Life Lessons, and Martial Arts for Everyone by Andrea F. Harkins. Facebook fans 3,342. Twitter followers 2,561. About Blog Our blogs pertain to many aspects of martial arts thinking and application: from philosophy, styles, and training, to program and curriculum development. Facebook fans 451. Twitter followers 1. About Blog Ripple Effect Martial Arts is a new martial arts studio on the South side of Fort Collins. We offer karate classes for children, adults and families. About Blog The best martial arts types, martial arts news, tricks and tips, information and researches in our martial arts laboratory. Facebook fans 1,141. Twitter followers 219. Phoenix, AZ About Blog Noah Legel's thoughts on Okinawan karate, and martial arts, in general. Facebook fans 2,163. Twitter followers 449. Alabama About Blog A Christian Martial Arts Blog. Facebook fans 174. Twitter followers 423. Hockley, Essex About Blog Silver dragons martial arts, kickboxing, karate and keep fit. Facebook fans 590. Twitter followers 45. About Blog A karate and martial arts blog that explores theory, philosophy, technique, and more. Facebook fans 20,190. Twitter followers 1,272. About Blog Hi I'm Michael Glenn. I began Bujinkan training in 1988. I haven't stopped. I might never. Follow the blog to find more on Bujinkan Training from Michael Glenn. Facebook fans 980. Twitter followers 4,435. Yorkshire About Blog AEGIS Martial Arts and Karate Lessons. Leadership Academy. Courses held in Leeds, Harrogate, Calder Valley, Driffield, Greengates and Halifax. Facebook fans 965. Twitter followers 150. About Blog A blog about Martial Arts and Fitness emphasizing Hapkido, Guazabara and Cardio Kickboxing, Health and Fitness in Port Angeles, WA. 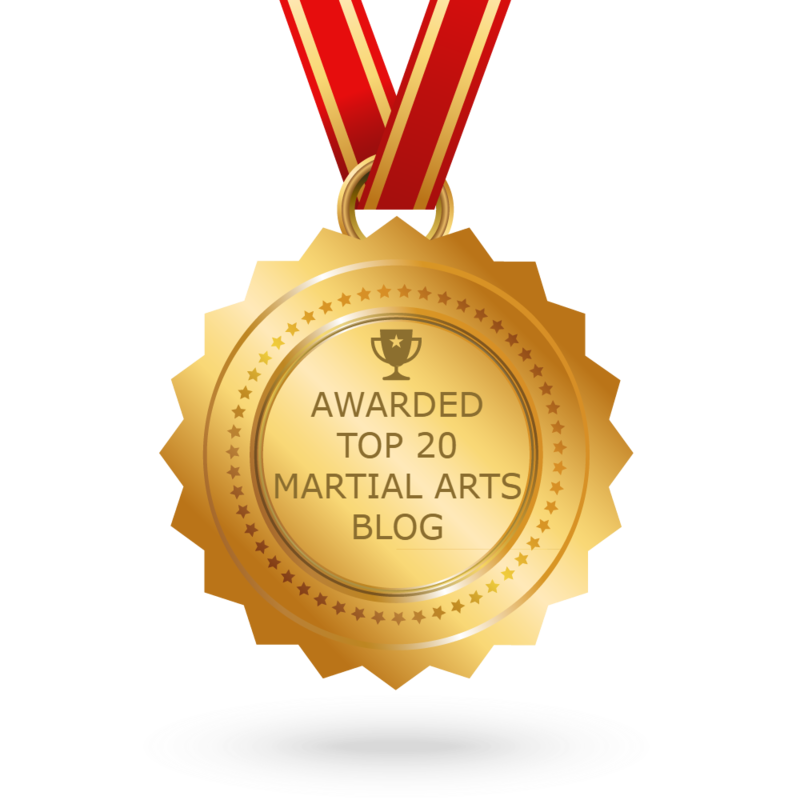 CONGRATULATIONS to every blogger that has made this Top Martial Arts blogs list! This is the most comprehensive list of best Martial Arts blogs on the internet and I’m honoured to have you as part of this! I personally give you a high-five and want to thank you for your contribution to this world.